Kidney MAPS (Mentoring and Assessment Program for Students) was established by the American Society of Nephrology (ASN) to promote interest in nephrology careers through student-organized community screening programs that identify people at risk for diabetes and hypertension in medically under-served communities. Each chapter is supported by practicing nephrologists who volunteer their time and mentor medical students. 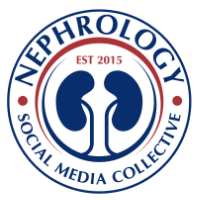 The goal of Kidney MAPS is to recruit and mentor the next generation of nephrologists early in their careers by showing students the risk factors for chronic kidney disease, the effects of kidney disease on public health and the increasing need for medical professionals to help combat it. Currently, ASN supports student chapters at Emory University, Indiana University and the University of Louisville. In addition, as a part of Kidney MAPS, the ASN and chapters headquartered in the Kidney Week host city partners with the American Kidney Fund to host a Kidney Action Day screening event to kick-off Kidney Week each year. In 2013, the Emory University Kidney MAPS Chapter partnered with AKF to screen nearly 250 patients. For more information about the Kidney MAPS program and learn how to establish chapter at your institution, please contact Lisa Bryan at lbryan@asn-online.org.